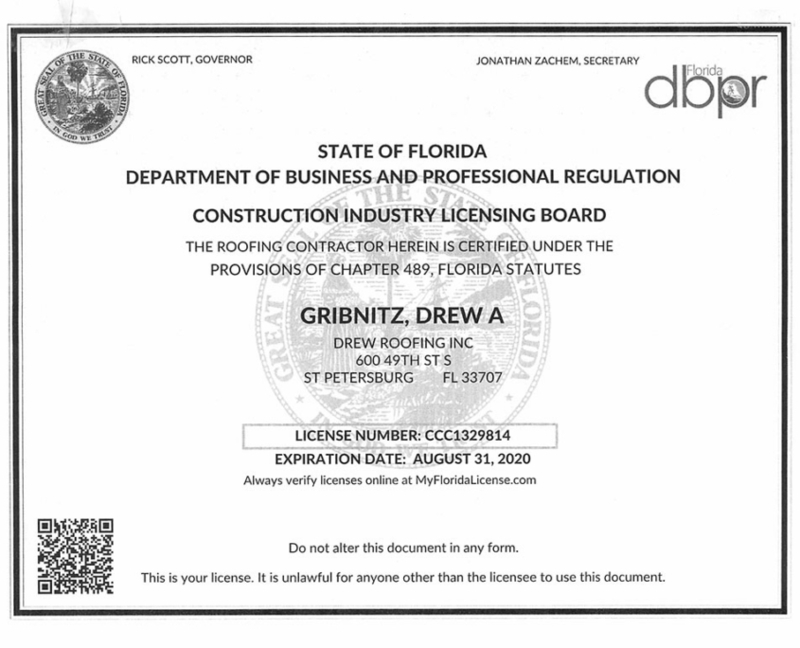 Licensing | Drew Roofing, Inc.
Drew Roofing has been in business since 2006. We are fully licensed and insured and do not use sub contractors. We are family owned and operated. We employee all of our professionals! Click on the image below to download a copy of our license.